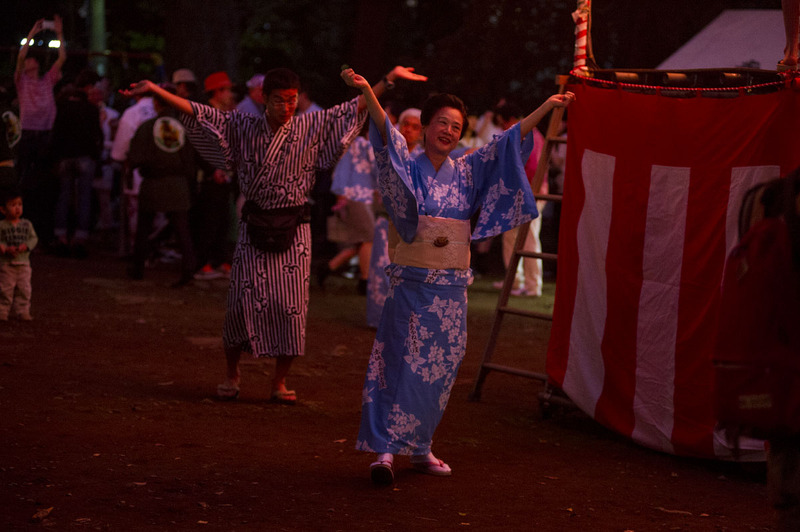 I hadn’t been to many bonodori festivals this summer so I was happy to find one scheduled for the final night of the large Hikawa Shrine festival in Tokyo’s Minato Ward. 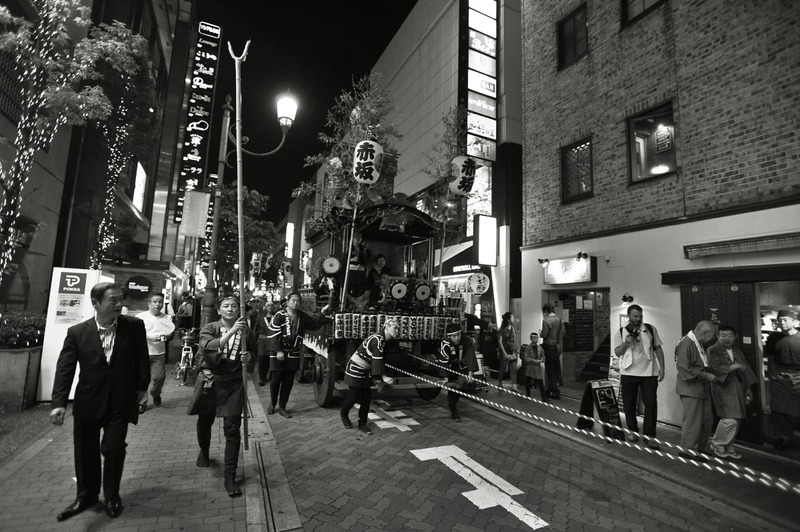 The bonodori is a rather complicated dance with music that makes it sound very like Sunday matinee movie from the late 1940s. 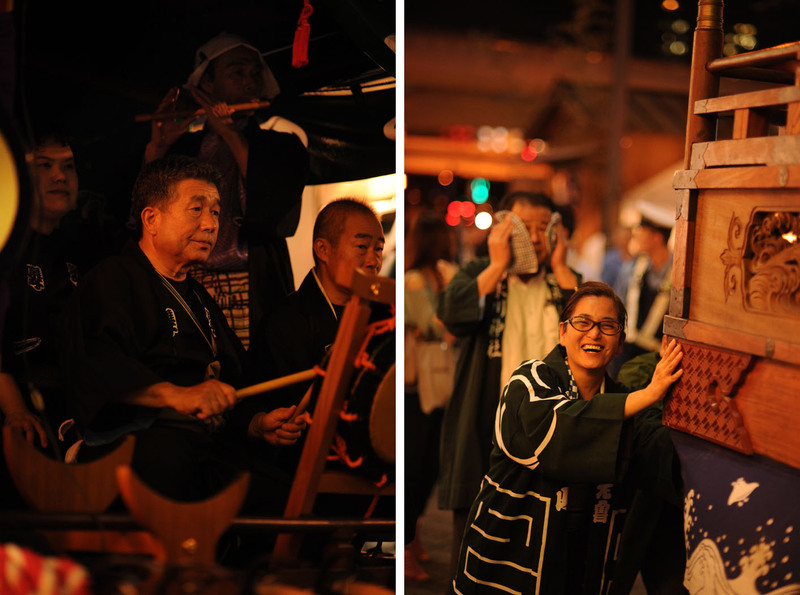 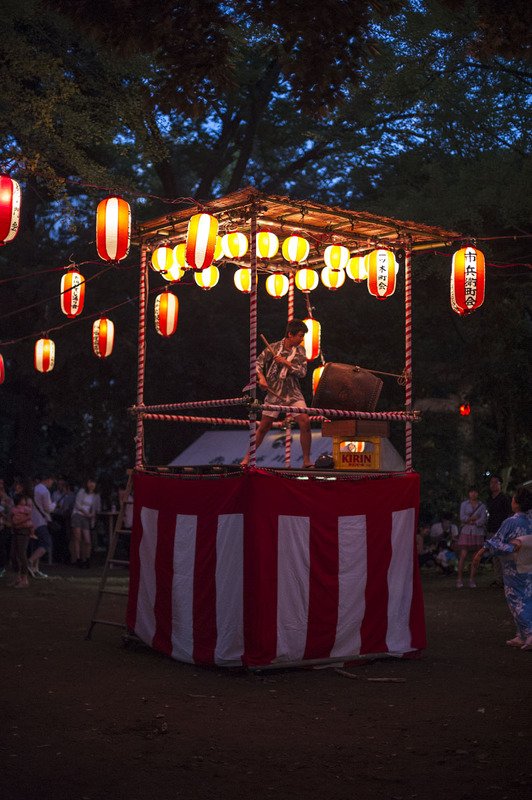 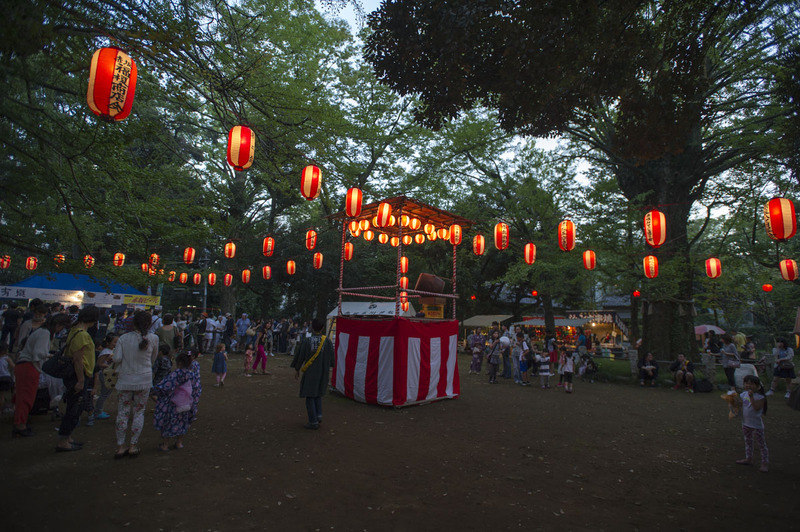 It takes place around a raised podium where a taiko drummer helps keep the rhythm and it is usually performed in the traditional summer dress of Japan, the yukata (think kimono light). 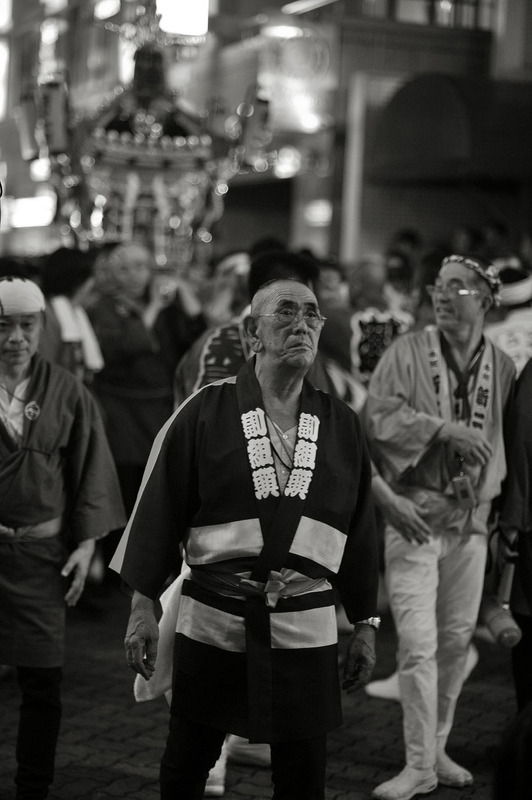 In a land with many dances and tradition thousands of years old it is good to see that new traditions are still slowly being grown, like this kind of dance. 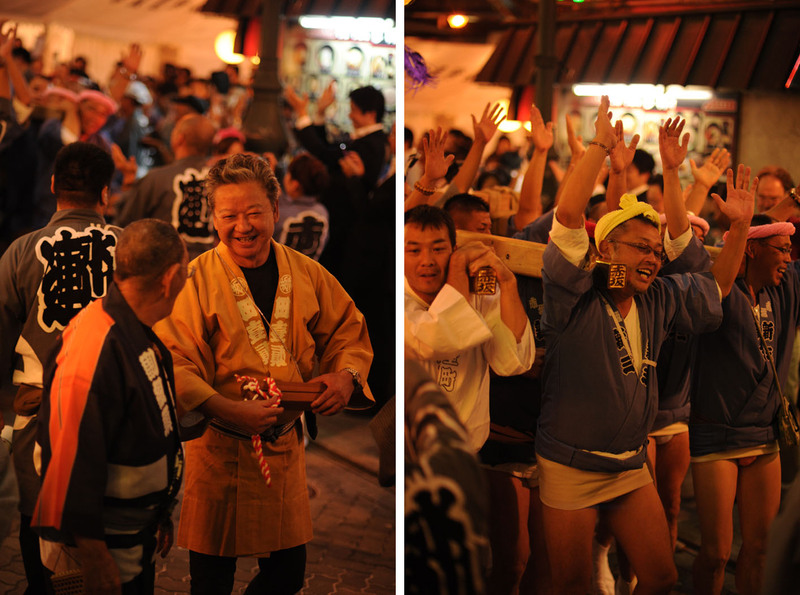 I imagine people in 1000 years will be dancing this to the exact same music and with the same movements as we do today. 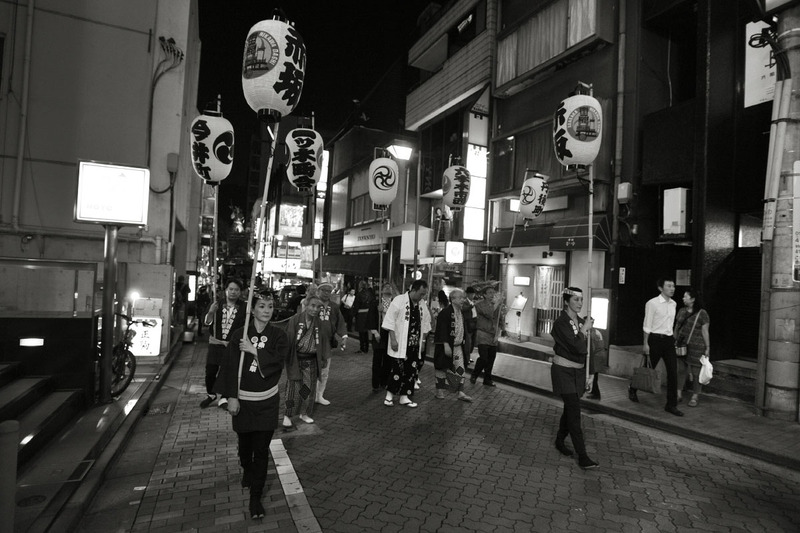 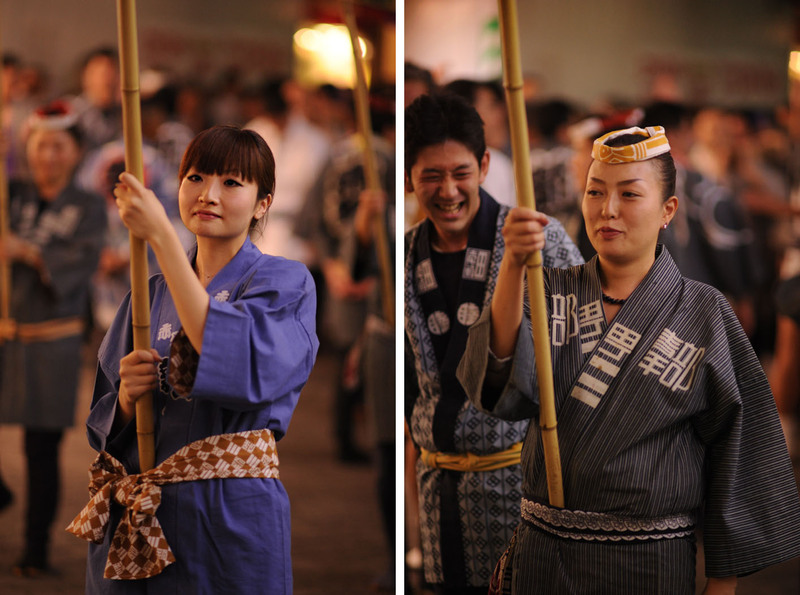 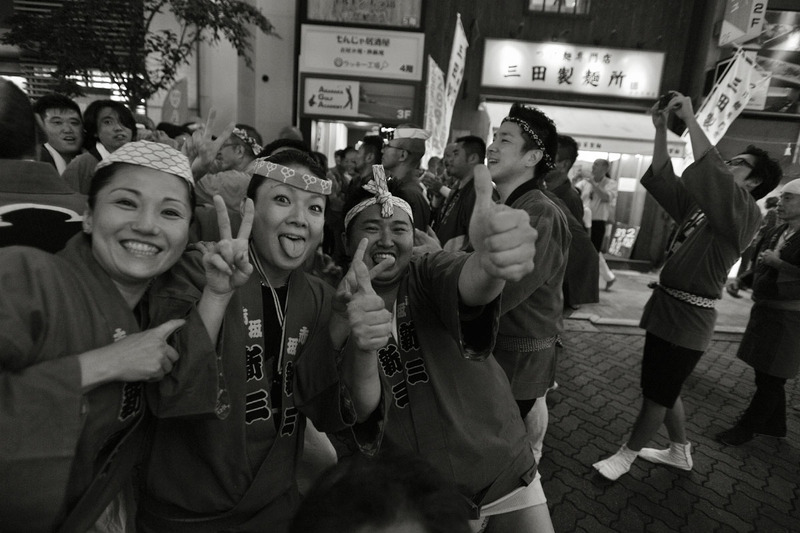 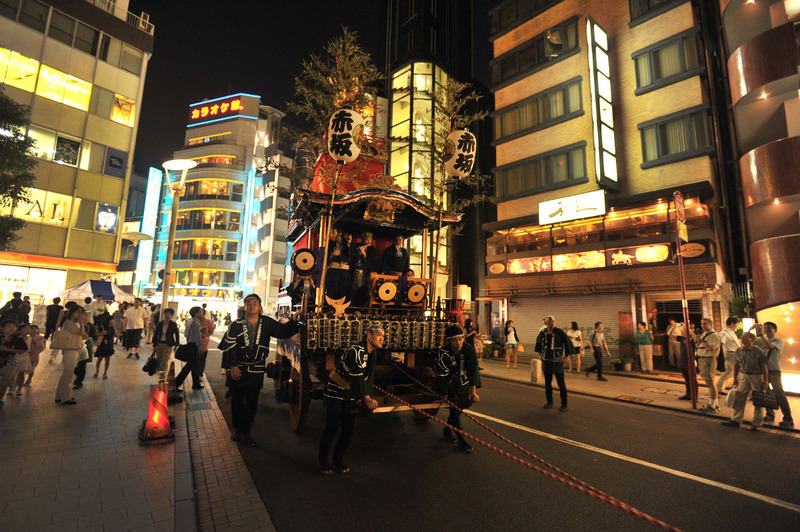 As many bonodori festivals I have been to, this must surely be the most perfect. 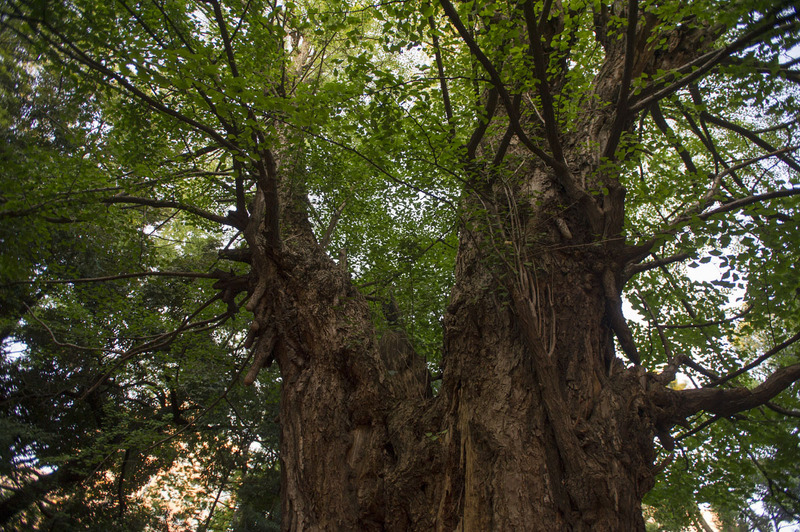 The space is not too large, not too small, and above all, it takes place under the trees! 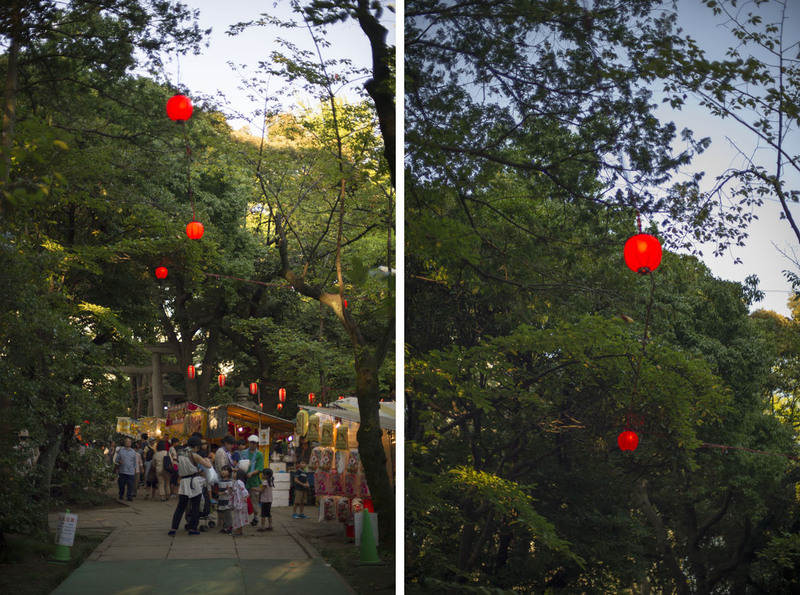 The red lanterns combine with the canopy of leaves to create a once in a lifetime perfect “room” for the dance to take place. 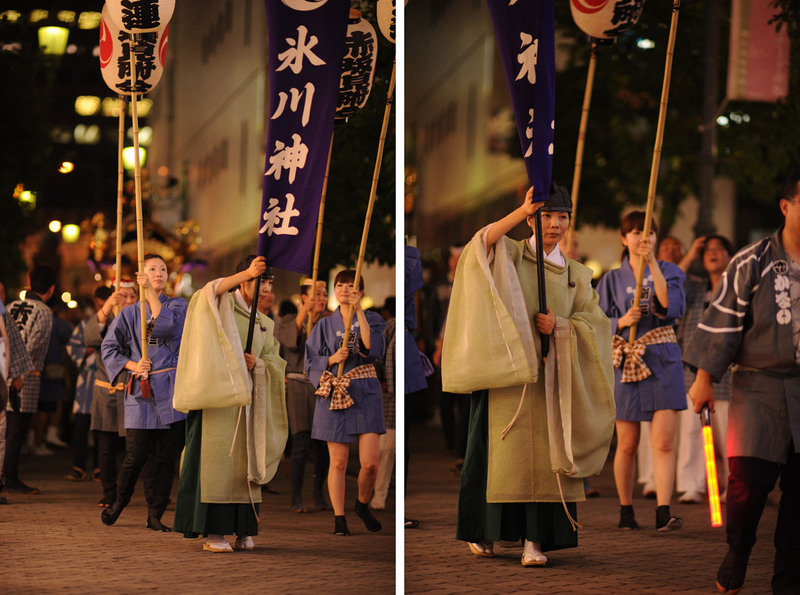 I might be the only one to notice, but such perfection leaves me in tears these days. 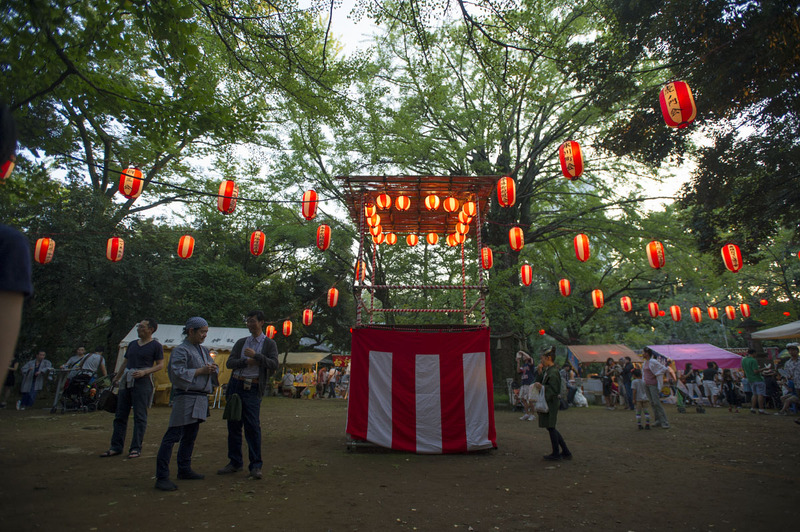 When I imagine the ideal bonodori location, this was it. 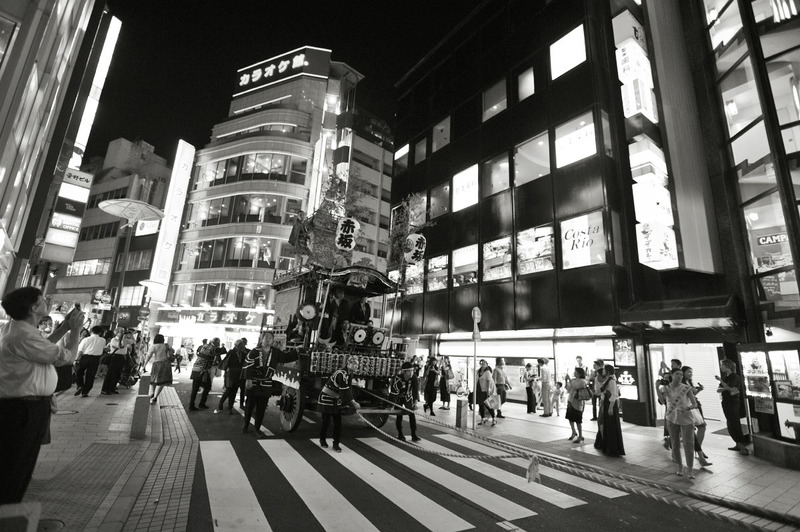 I just didn’t know it really existed. 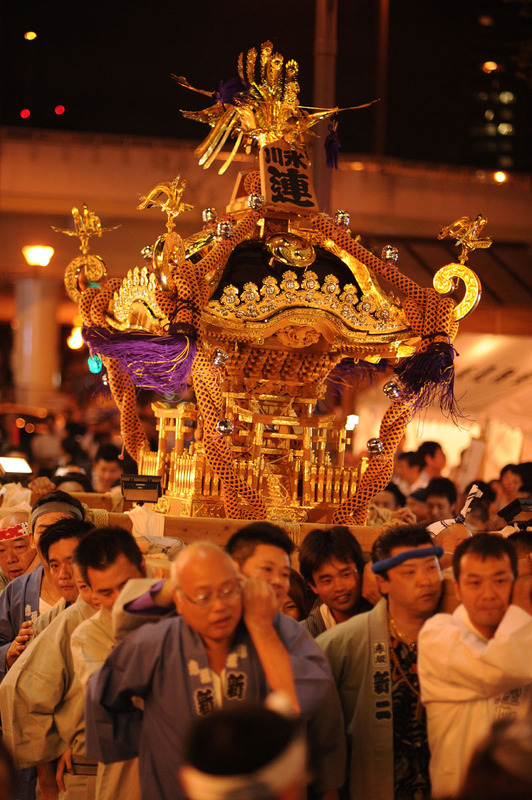 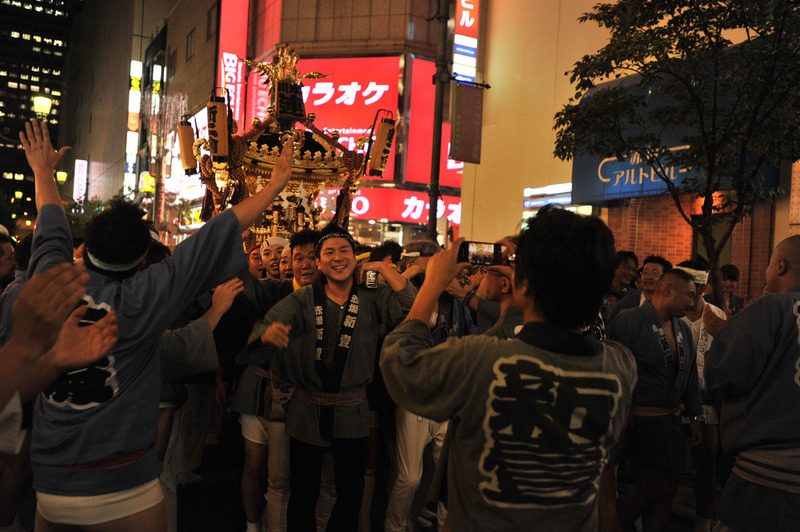 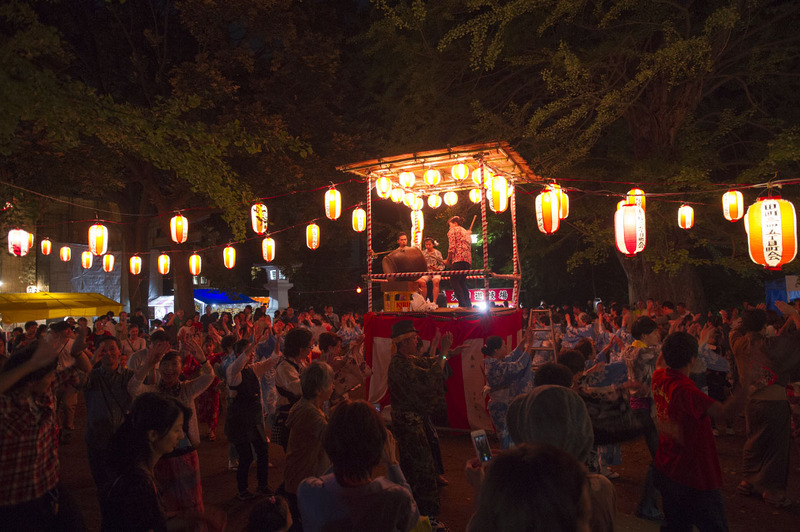 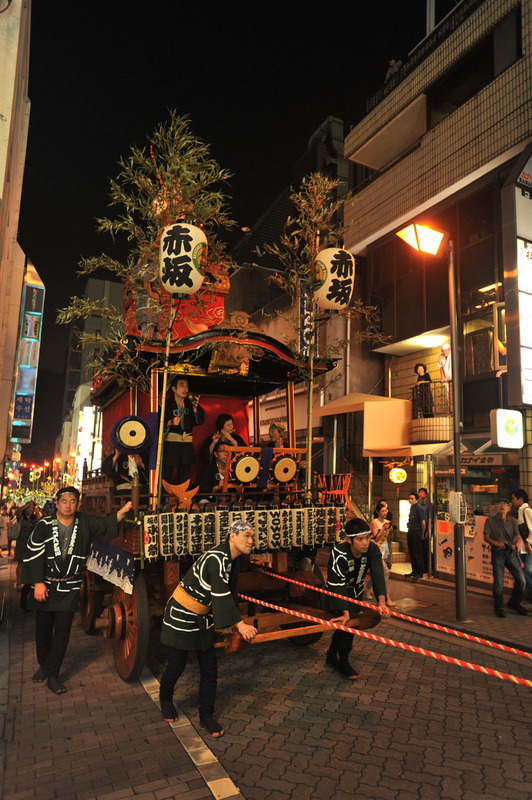 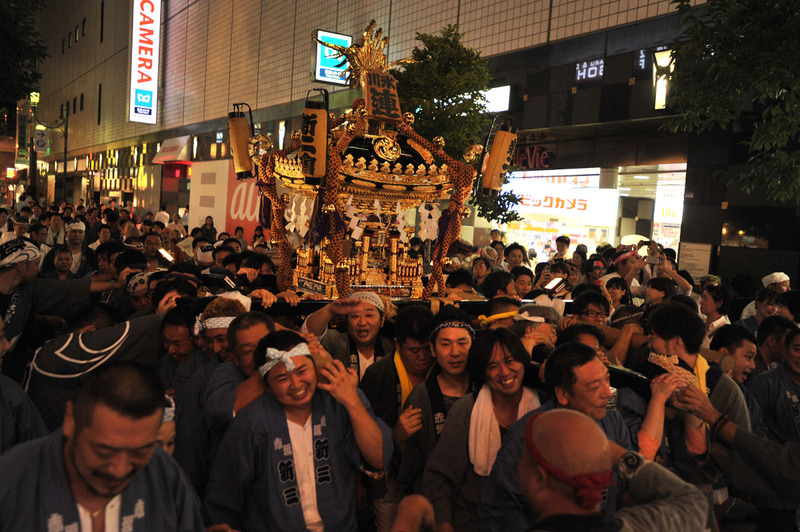 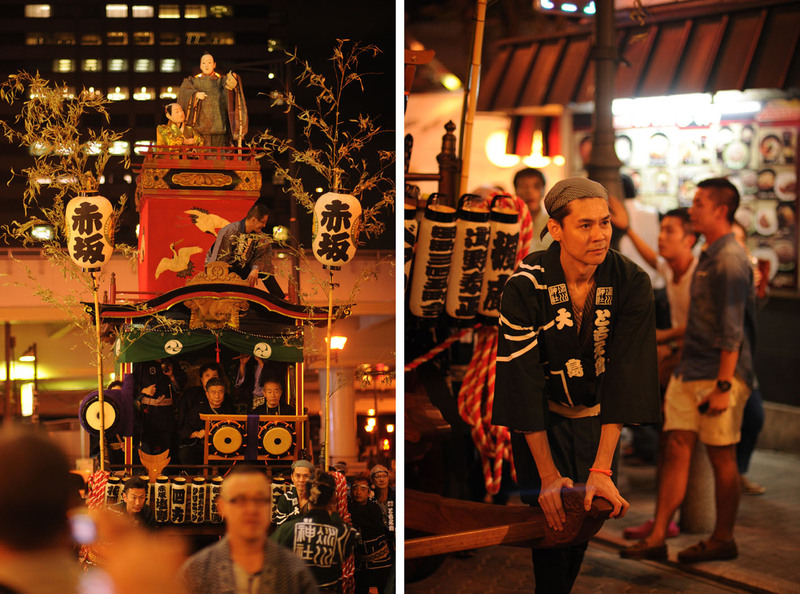 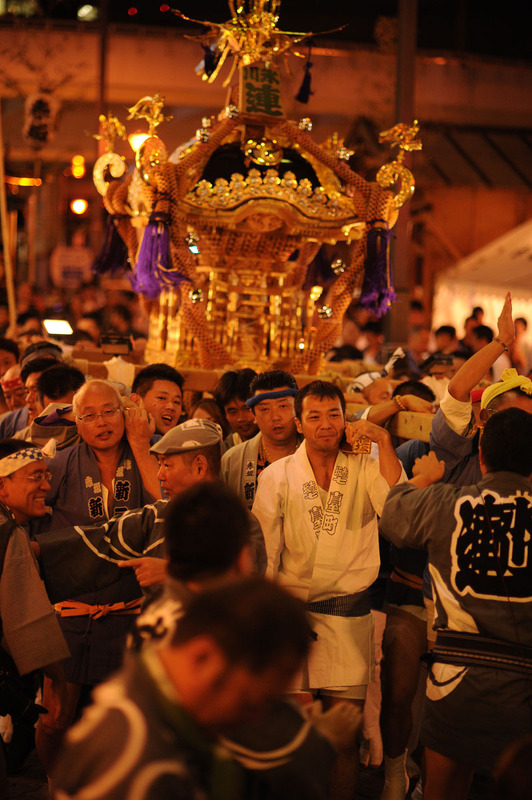 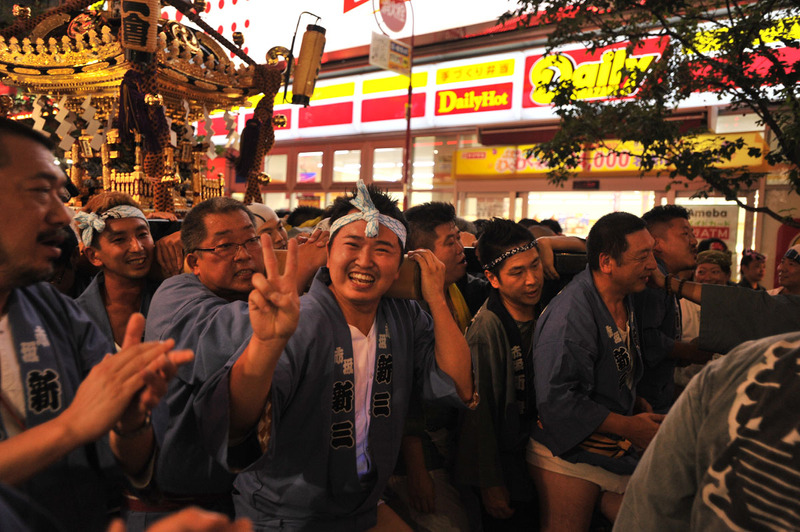 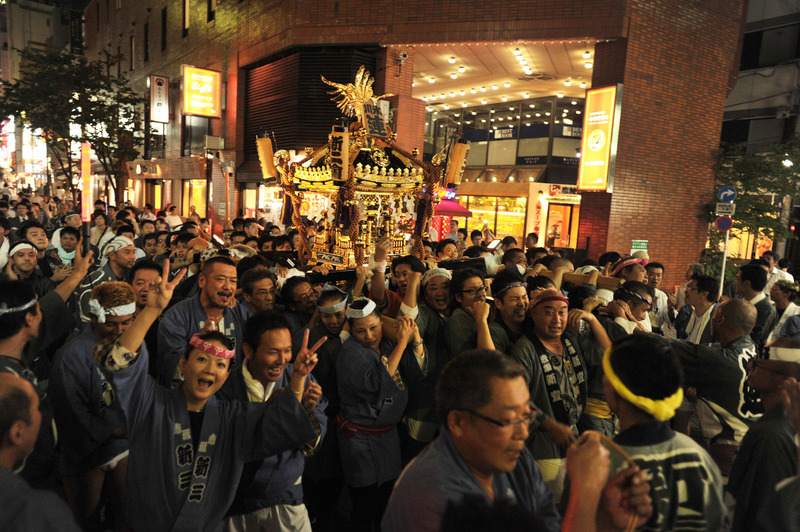 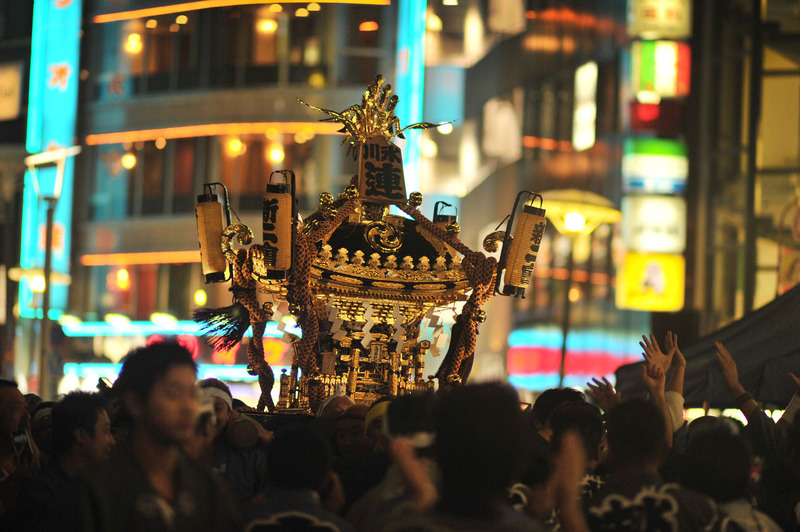 I know bonodori ranks very low on the list of exciting festivals to see or experience, even for local Japanese, but if you are into it, this is the one to visit. 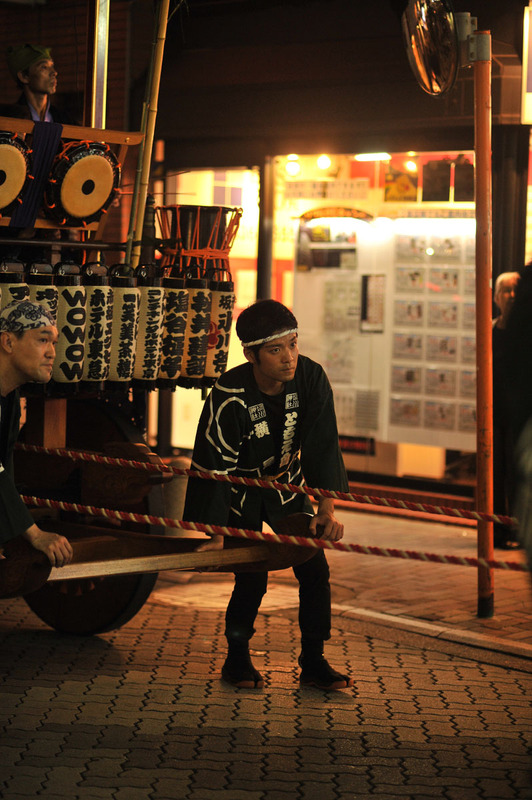 It usually starts on the Sunday of the festival at 1830, but music starts much earlier, usually at 17300, and the drummers are always there early to warm up. 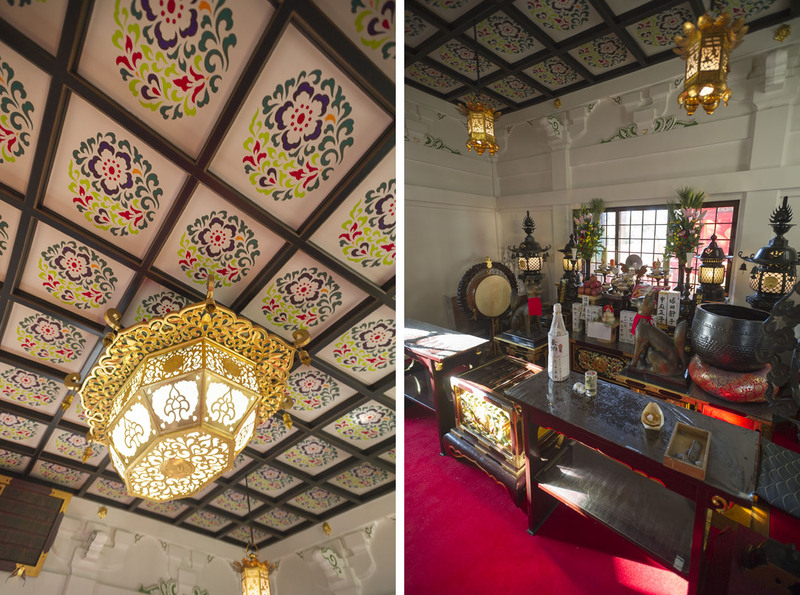 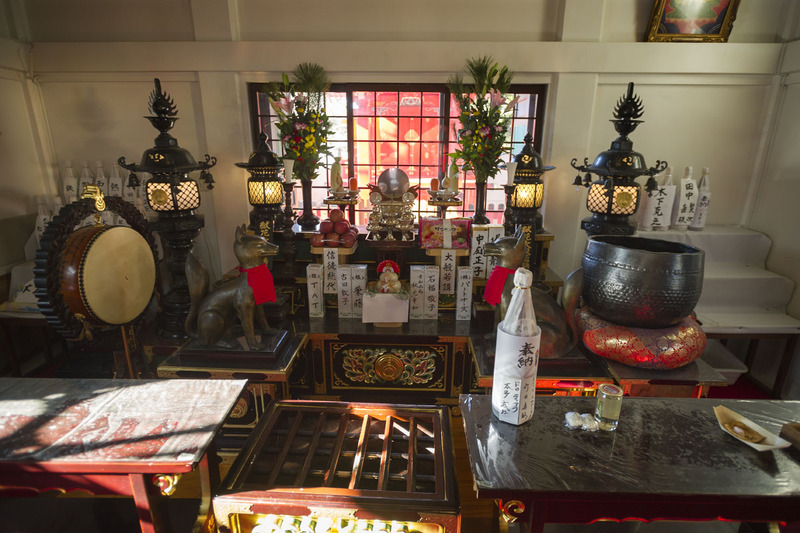 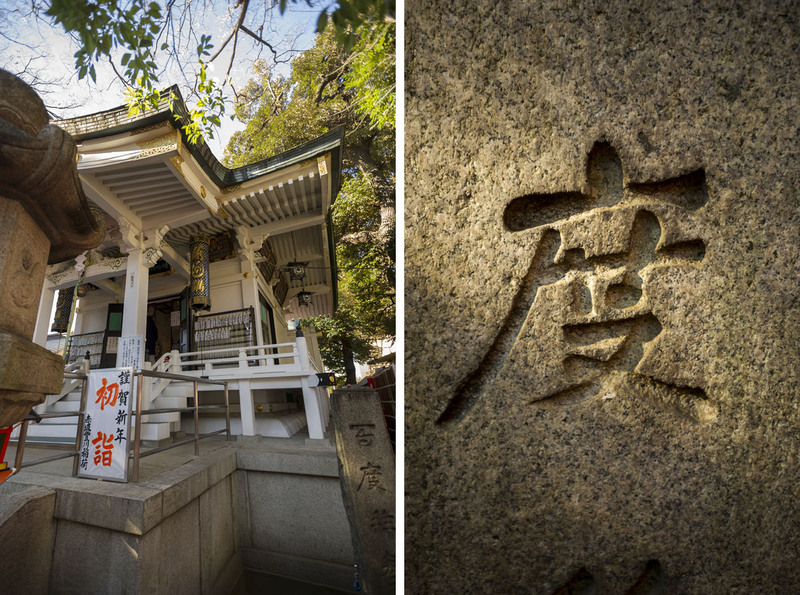 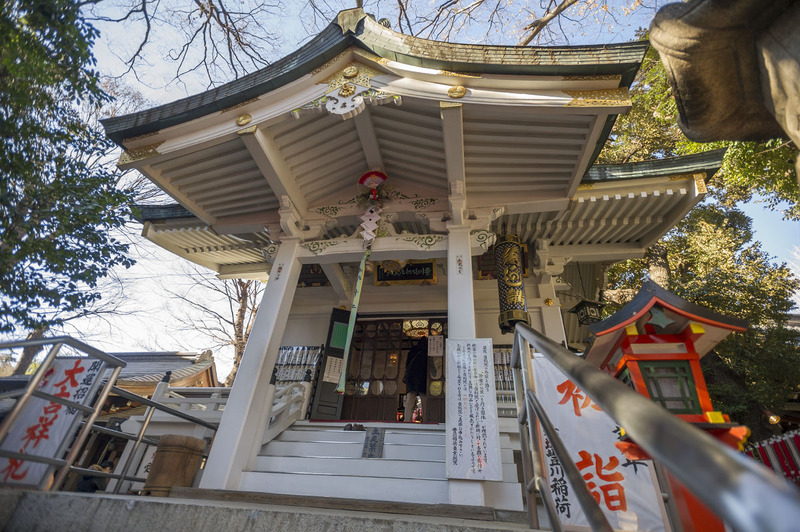 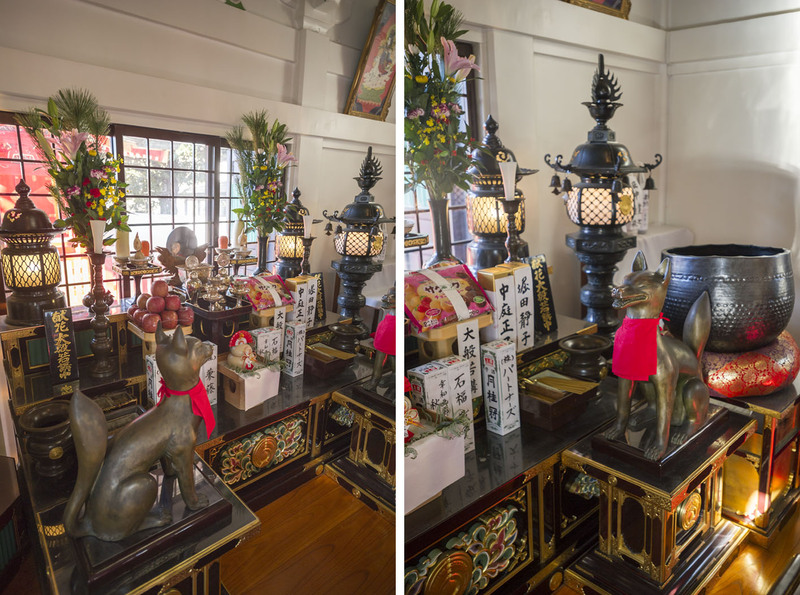 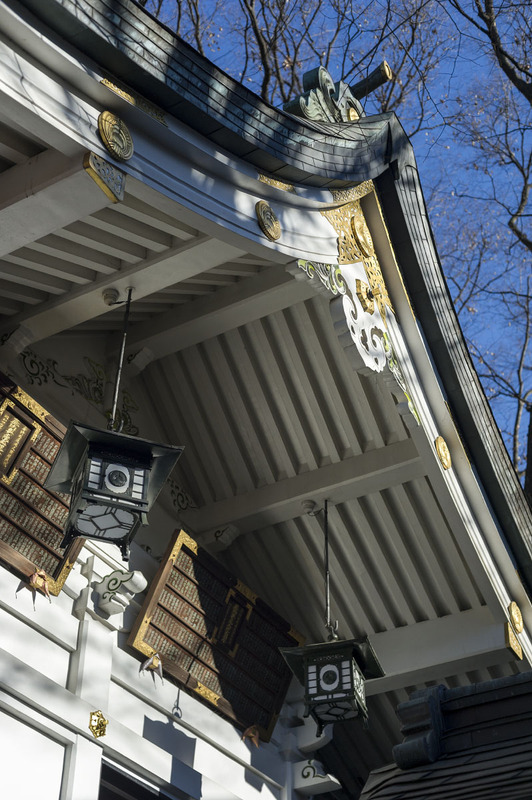 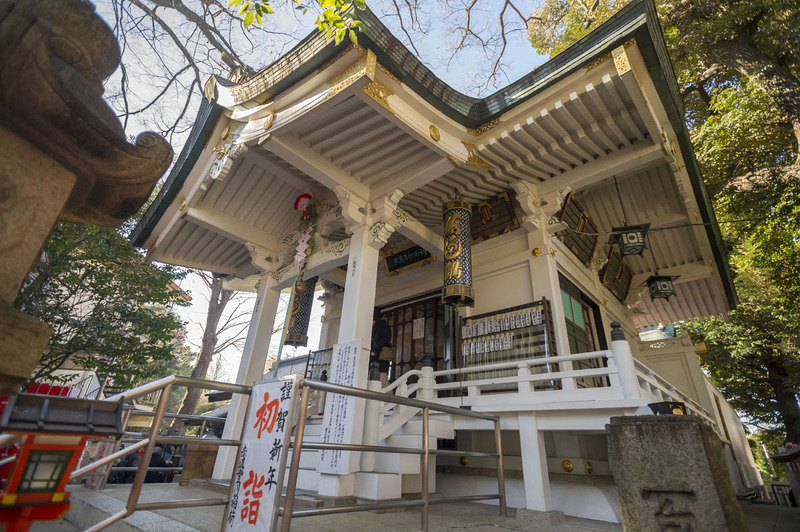 The Hikawa Shrine (氷川神社) in Minato Ward (there are hundreds all over Japan) is easily accessible from Akasaka, Tameikesanno, Nogizaka, Roppongi or Roppongi Ichome stations.